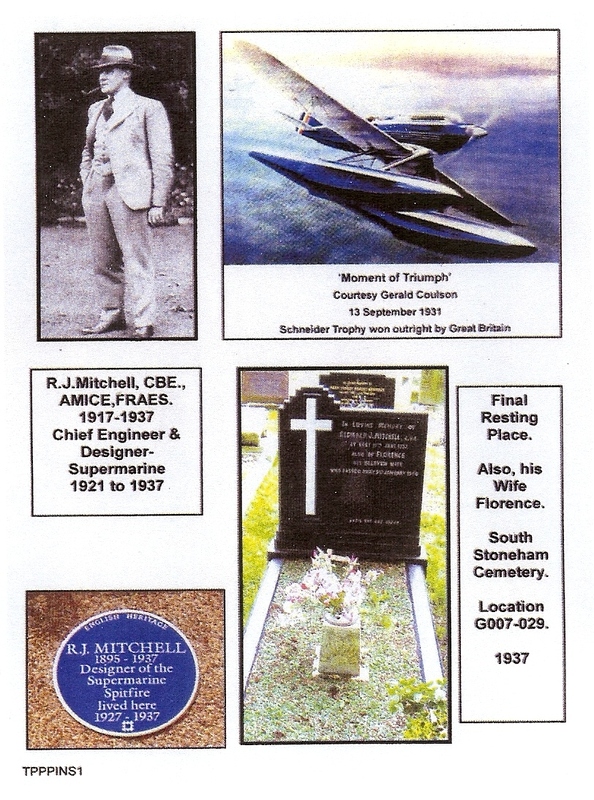 Sadly ‘R.J.’ died at an early age- a great loss to our Nation.He led the team at Supermarine to success, gaining the Schneider Trophy for Great Britain in1931.The only commemorative features to his memory being in Southampton are the Feature in Hazel Road, Woolston, outside the former ‘Goods Entrance’ to Supermarine. An English Heritage ‘Blue’ Plaque is installed at his former home in Russell Place, Highfield, Southampton. A statue exist in the Hall of Aviation.Proposal for an ‘iconic’ feature of the ‘Spitfire’ in the ‘Old Docks’ awaits finality. Another feature combining a statue of ‘R.J’. plus former men & women of ‘Supermarine Works’ would be a fine feature in the proposed Heritage Walk in the Southampton Central Parks. Easily accessible?